With outstanding beaches and a great variety of leisure options, Calfell has earned itself a reputation as an ideal destination for family tourism, and many that come here on holiday end up falling in love with the area and buying a property. 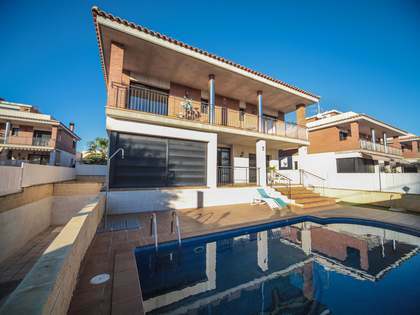 Whether it's for seasonal holidays or permanent relocation, Lucas Fox have properties for sale in Calafell to suit all purposes. Here you may acquire a dream beach home, a second residence or lock-up-and-go holiday apartment with great potential short-term rental yield, choosing from our portfolio of luxury villas, new apartments and even building plots. 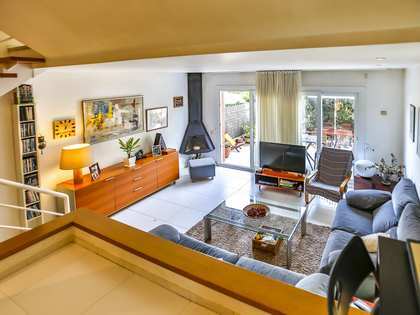 Seafront apartments and houses in the areas of Segur de Calafell and Calafell Platja offer immediate access to the beach and wonderful sea views from their terraces. Those properties located in Calafell itself are found in more peaceful residential areas and include a variety of free-standing luxury villas which will satisfy even the most discerning client with their large gardens, en-suite bedrooms and ample living areas with abundant natural light and contemporary open plan layout. There is no shortage of residential apartment complexes with communal gardens with pools, tennis courts and children's play areas, for those looking for a smaller, more easy to maintain property with communal facilities. 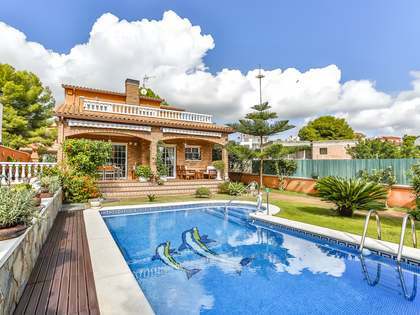 Whether you are looking for a permanent residence in Calafell or a holiday or investment property, our experienced agents at Lucas Fox can help you find the ideal property to suit your needs on the Costa Dorada. With a population of almost 25,000 people, nearly 20% of which are international settlers, Calafell is a beautiful coastal holiday town on the Costa Dorada, in Tarragona. 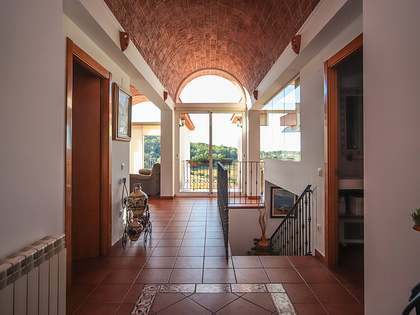 The town sits between the interesting historic town of Tarragona (27 km) and the world famous city of Barcelona with its international airport (60 km) and offers many interesting real estate options. The town is officially located in the Baix Pendès region, marking the beginning of the Costa Dorada, and can be divided into three main areas: the historic old town which developed around the Medieval castle, Calafell beach or Platja Calafell as it is known in Catalan, and the area of Segur de Calafell. The main highlight of the area is the gorgeous coastline with all of the necessary characteristics and amenities for enjoying the beach. And when you tire of the beach, what does Calafell have to offer? 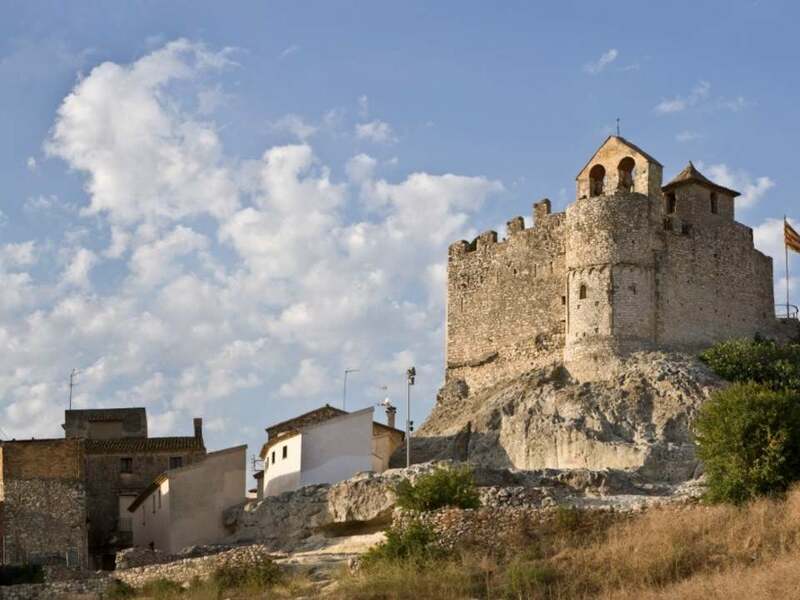 Well, if history is your thing, Calafell has a Medieval castle with the remains of a massive Iberian fortress and the nearby town of Tarragona is home to a very impressive Roman Amphitheatre looking out to sea. Calafell has plenty to offer in the way of sport and leisure too, with a number of golf, tennis, basketball and petanca facilities as well as a municipal indoor sports centre and excellent water sports harbour. Gastronomy is another strong point of Calafell with star dishes such as the Fideua, a fine noodle based dish with a variety of seafood, on offer in most restaurants. Being in the Penedès region, Calafell also boasts some very good locally produced wines which can be sampled directly in the wineries or in any of the local bars.